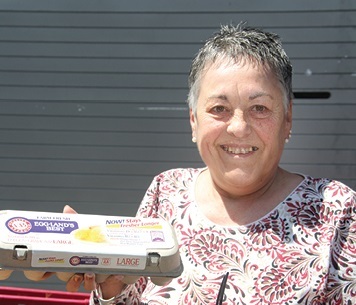 Your Generosity Inspired Judy to Give Back! 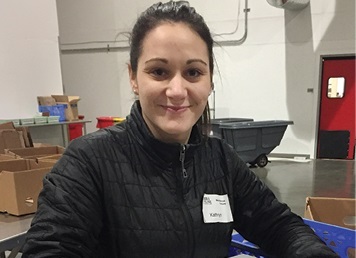 Did you know that many of the people who visit food banks also serve as volunteers? 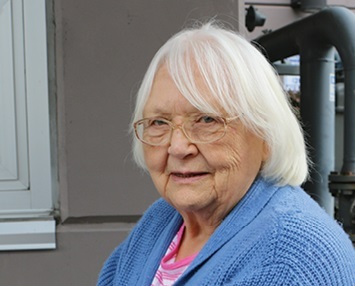 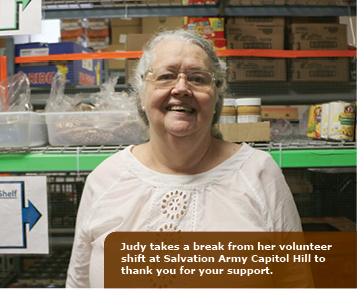 Judy, 70, comes out regularly to Salvation Army Capitol Hill to do just that…. 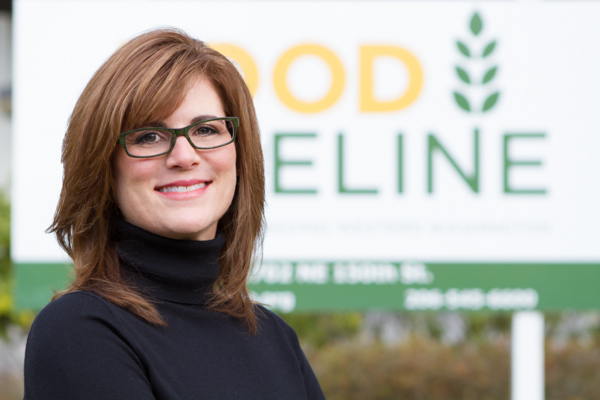 A Big “Thank You” To Our Friends at West Monroe Partners!